The only design of its kind in the nation, the stunning steel and glass Northern Lights Atrium welcomes visitors to the North Dakota Heritage Center & State Museum. The lobby is uniquely related to North Dakota, with the symbols and structure embracing key elements of our state. Architects designed the structure with a nod to early Native American architecture. Similar to an earthlodge, the lobby has 20 poles, but your imagination may also visualize the silhouette of a tipi or grain bin. The steel geometry is clearest at night with special lighting. Around the top of the glass box, backlit screens project colorful images in the evening, symbolic of the Northern Lights against a night sky. 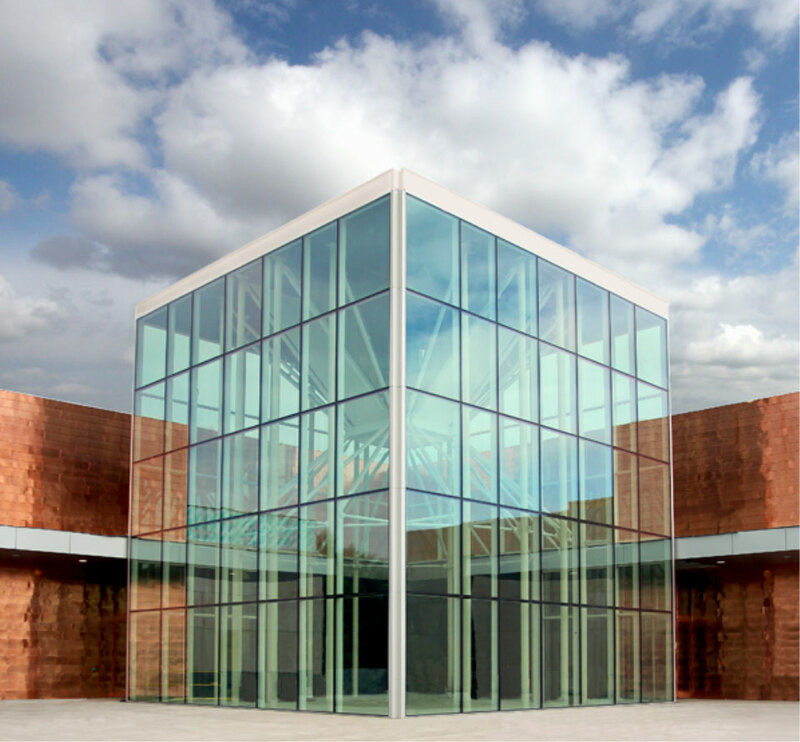 The 40' x 40' glass box is cradled in walls of copper panels. The hearth of the building is a back-lit Great Seal of North Dakota embedded in the center of the floor, with a skylight representing a smoke hole directly above. A starburst pattern radiates from this center circle. The names of the 53 North Dakota counties are also embedded in the floor. The Northern Lights Atrium is available as a rental space for after-hours events and functions.